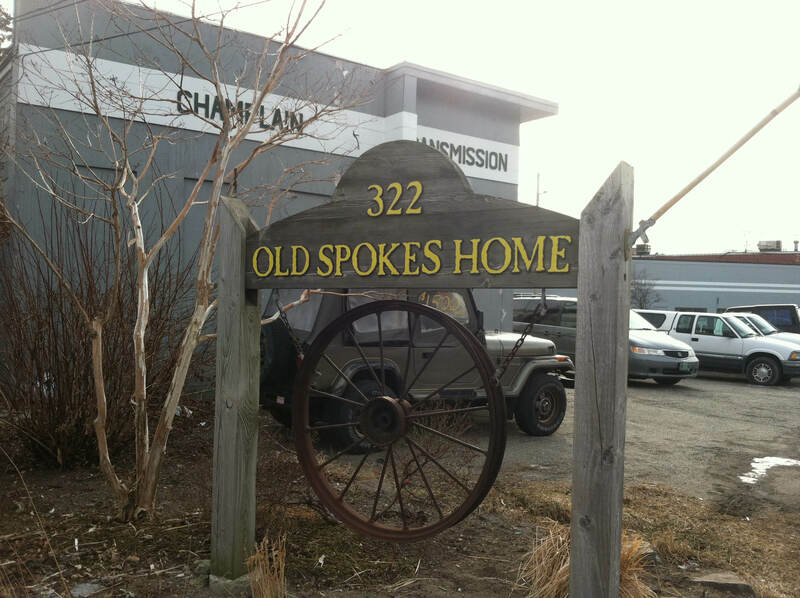 A trip to the Old Spokes Home has been on my list for some time. (No, I’m not going geriatric quite yet, though retro is fun.) 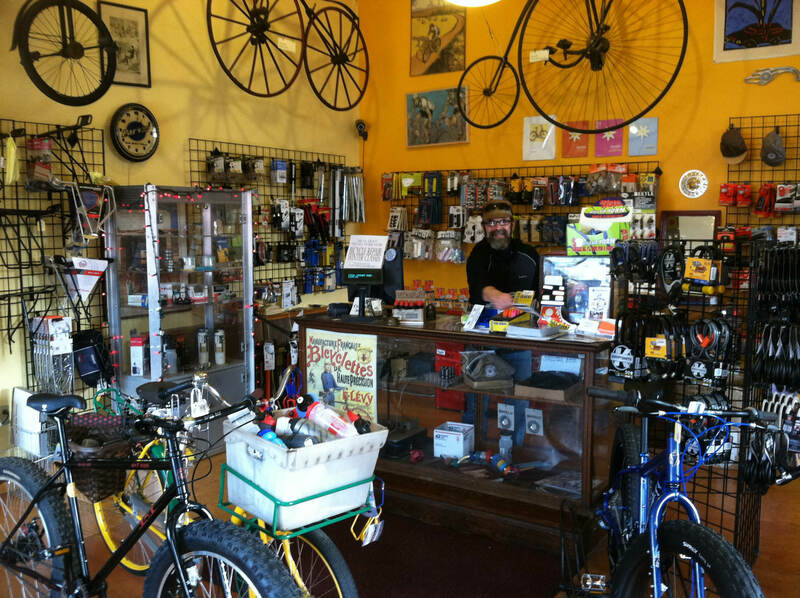 This small, unique bicycle shop, located in North Burlington, Vermont is part museum, part store, and part can do repair shop. They relish those jobs that make other shops shudder. “Can you fix my red 1962 Triumph that was uncool in 1970 so I put drop bars on it and took off the chain guard only now I want to ride it upright while wearing pants and by the way it’s been sitting in my father’s barn for the past 30 years and the Sturmey Archer hub was regularly oiled with 3-in-One and has never been overhauled….” Actually that is one I’m working on now. Anyway, I know The Old Spokes Home could handle it because I’ve been there and got to meet the owner Glenn Eames. You won’t find much carbon in his shop but lots of steel, and a fair amount of rust. His young staff have lots of patience and a passion for what they are doing. They have an extensive selection of ready to ride used bikes and If you want a new bike they carry Surly, Jamis, and Salsa among others. So whether you want to drop a few grand on a Surly Moonlander (I want one of these in the most irrational way…) or a couple of C notes on an old 3 speed this is the place. At the same time you can see an amazing array of vintage bikes including the largest number of bone shakers I’ve ever seen in one place. Check out the museum online. Finding myself unexpectedly here in one of the warmest and most snowless Vermont Januarys on record I was looking for a bike to get some exercise and enjoy the unseasonable weather. 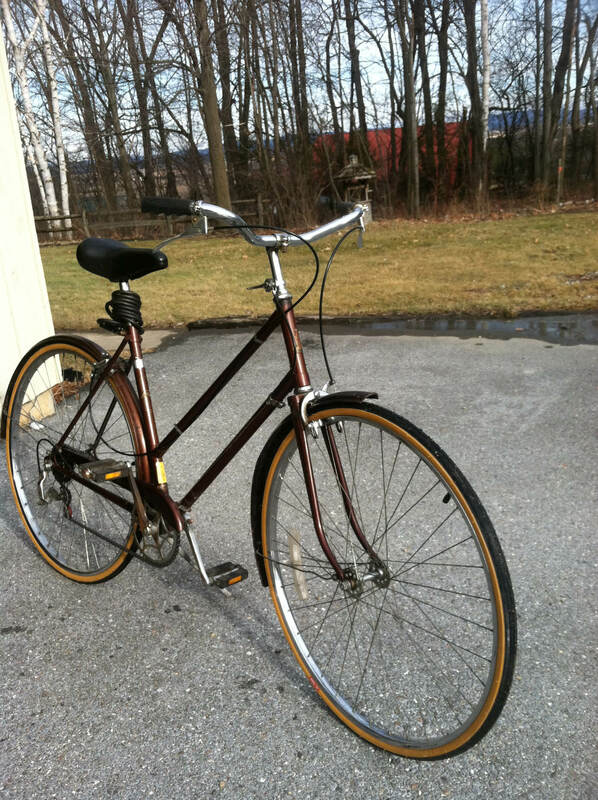 I chose a 1970s Raleigh Sport modified to a 5 speed with rear derailleur. Wasn’t sure I’d have quite the range I need for the hills with a 3 speed. wind back to my parents house. Blue sky, brown fields, birds, a gorgeous day all the more appreciated on a bicycle! As for the 3-in-1 oil in a S-A hub, I’ve heard that the “motor oil” labeled 3-in-1 is ok for hubs, as it is a petroleum based oil (SAE 20). Whereas the “household” 3-in-1 is vegetable based. If anything, at least it wasn’t WD40!